Looking to buy an Inogen portable concentrator? Not sure which company will give you the best service? If you’re like me, you’re always looking for a great deal; but in this case take your time and read the fine print. As I’ve said before, you’re buying a piece of medical equipment, not a toaster. You may save a couple hundred dollars, but if you cannot use the unit you chose, then you may end up wasting thousands of dollars. First, take time to find out which unit is best for your oxygen needs. 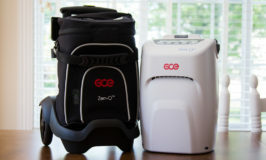 I’ve written extensively on how to choose the best portable oxygen concentrator. Once you’ve chosen the best unit, you must also take time to find the best dealer. Portable oxygen concentrators are the only piece of medical equipment that I know of that manufacture and deliver a prescription drug, and like all medical equipment, require service from time-time. 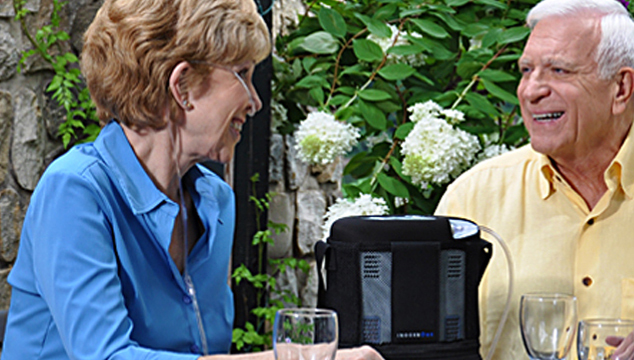 A good dealer is the key to continued satisfaction with your portable oxygen concentrator purchase. 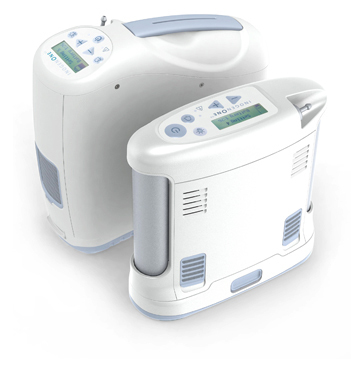 Choosing the right Inogen portable oxygen concentrator, the such as the Inogen One G2 or Inogen One G3, is important; choosing the right company to buy from can be a challenging. After doing my research, I have found that you can purchase the Inogen portable concentrators directly from the manufacturer or from four Inogen Authorized Resellers. These companies are listed on Inogen’s website. While you may find other companies selling Inogen products, Inogen is quick to note the danger in purchasing from a company that is not an Authorized Reseller. You risk buying used, damaged or stolen products, not having access to after sales support, and being unable to obtain warranty service. Without the Inogen warranty, service on your Inogen could cost upwards of $900. I took the time to visit all four of the Inogen authorized dealer websites. My goal was to find value and, more importantly, the service they offer after I made my purchase. What I found is that not all Inogen authorized dealers are equal. All of them were eager to give a great price and even deliver an Inogen in one to two days. But only one company, OxiMedical, stated upfront that they have a money-back guarantee, they would give me time to test my Inogen, and they would be willing to upgrade my purchase to any portable concentrator that met my oxygen needs in the event the Inogen I chose didn’t meet my needs. They also stated in writing that they would not charge me for using a loaner unit if my Inogen needed to go in for service. The other companies offered less time to try a unit and a much higher restocking fee if the product did not work for me. The other companies also charge a rental fee of $100 to $200 a week when you need a loaner unit. Also, I discovered that while Inogen will not transfer the warranty, OxiMedical would, which means if you ever needed to sell your portable concentrator, it would retain its value and garner a high selling price. Now that’s service after the sale! In doing my research, I also discovered that OxiMedical has stores in Phoenix and Mesa, Arizona; Atlanta, Georgia; and Denver, Colorado, which include showrooms with service centers. 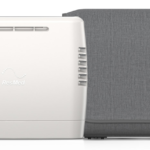 All the way around, I was impressed with OxiMedical Respiratory and rank them at the top of my list for purchasing an Inogen portable concentrator. I can vouch for OxiMedical. I bought an Inogen One G3 almost 2 years ago from them. The software on the device has malfunctioned twice, and both times OxiMedical was great about shipping me a loaner right away. Just a note, you still need to pay the shipping to get your unit to the manufacturer and back. is about 10 lbs. Is there anything I can get ? Which Inogen model did you try? The Inogen One G2 (with a 12-cell battery) is the quietest machine on the market. The problem you experienced may have been a problem with the cannula. You need the proper cannula for the machine. Inogen recommend the Salter Quiet Cannula, which has an elongated nasal chamber so the air flows quietly. How quiet is the Inogen One G3? Thanks! The official product specification states: Less than 42 Decibels at flow setting 2. The unit has a normal motor hum; however, it has a fairly loud purging sound every 15 seconds. It is louder than any other unit and quite noticeable by some people, while others don’t mind it at all. Your personal hearing ability, noise sensitivity and the quietness of the places you intend to take the unit will factor into whether the noise bothers you or others around you. I would first recommend contacting the company from which the unit was purchased as they are the warranty holder. They will hopefully buy it back or be willing to transfer the warranty if you sell the unit to a third party. If you do not have the dealer information, you can call Inogen and provide them with the serial number of the unit so they can locate the information for you. Inogen will not transfer the warranty, so if the dealer is not helpful then the unit loses considerable value without a warranty. I am Nepal. I am interested in buying one portable, light weight Oxygen Concentrator for my daughter suffering from ILD for last 15 years. He is taking her Oxygen supplement from the bulky cylinder at home. I tried one Chinese portable machine. It worked for her only few days then she started getting irritation on her throat resulting in irritated coughing . So she is now back to cylinder again. I think the Chinese one could not supply enough Oxygen purity when the dose increased to 3L/M. Because it had a problem of purity going down as the volume of dose increased. Since then I am looking for a light weight Oxygen Concentrator which could be used at home and everywhere even during during travelling by Car and by Plane. For a unit that provides 3 LPM, I recommend you look at the SeQual Eclipse 5 or the SeQual eQuinox. I’m going to Barcelona and then India and will need oxygen for the flight as well as when I sleep, will be gone about 3 to 4 weeks, are continuous flow portable oxygen concentrators available for rent? Yes, online retailers that sell POCs usually providing rentals as well. For continuous flow, a SeQual Eclipse 5 is probably your best option due to longer battery life than smaller units such as the Philips SimplyGo. Since you commented on information about Inogen products, I want to point out that Inogen POCs do NOT have a continuous flow option. My aunt has a portable oxygen concentrator that works well for her overall except that the alarm goes off frequently. This is aggravating because it is working fine, she is getting oxygen fine, the battery is not low, etc., but it continues to produce the shrill alarm a lot. She puts it on mute, which sometimes helps, but eventually it starts alarming again. She sent it in for repair and was encouraged to trade it in for a discounted replacement unit – which she did. That unit worked better for a few months but now I t is having the same issue and even more frequently. Do you have any idea why this is happening and how it can be fixed? When she goes out now she wants to take small oxy bottles instead because it is embarrassing to her. Thanks for any assistance you vp can give. If your aunt is using an Inogen portable concentrator then the display panel will give a message that lets her know why it is alarming. I would need to know the message it displays to possibly provide any additional assistance. is there really a benefit to a Distributor versus direct from the manufactorer? Looking at getting a POC for my mother for the first time. I called INOGEN directly and they were very helpful. Trying to find the lightest on the market. Seems like the articles toggle between the INOGEN models and the SimplyGo Mini. Yes, there is a benefit to a distributor over the manufacturer. In addition to lower prices, good distributors that have a 30-day trial period will allow you to exchange the unit for a different model and even a different manufacturer’s model. They also allow trade-ins and offer buyback programs in the event the unit does not meet your needs a year or two down the road. If you purchase directly from the manufacturer, you are stuck with their brand and have no trade-in or buyback options. And since the manufacturer will perform all warranty repairs even if you purchase from a distributor, I see no disadvantage in purchasing through a distributor. I am thinking of purchasing the new Inogen G4. I like the light weight for taking on my walks & to the gym. Inogen’s website states that they can be used 24 hours a day. I have never had good luck sleeping with a POC before. I guess I breathe too shallowly when asleep. Do you think I could use a G4 (plugged into electricity) overnight? Despite Inogen’ claims, all their POCs provide pulse flow only, which is usually not recommended by physicians for night use. If you have had any problem sleeping with a pulse flow in the past, the Inogen One G4 would not be a good POC for your oxygen needs while sleeping. inogen does have a home concentrator…not a carry unit. they told me it was a continuous flow. That is true. The Inogen At Home is home concentrator, thus providing continuous flow. If your comment is referring to a previous comment in which I stated that Inogen has no continuous flow option, I was referring to POCs only. Does insurance usually cover these units? I have to find a dealer on my provider list in my state, without calling all 300! If you are referring to private insurance then you should have success. You can find out your benefits for POCs by calling your insurance company and asking them your benefit for billing code E1390 and E1392. If you are referring to Medicare, then your chances are slim. Medicare says they cover POCs; however, they utilize competitive billing practices and only those dealers in your area who won the bid can provide the equipment. To further the problem, Medicare pays only a fixed amount for portable oxygen and the amount they pay for a POC is the same as they would pay for oxygen tanks even though it is superior equipment. Most homecare companies simply cannot afford to give a POC for your Medicare benefit and generally opt for tanks. You would probably only have to make a few phone calls to local providers to determine if it’s a lost cause and that you’ll have to purchase one on your own. The Inogen One G4 provides the same amount of oxygen at each setting as the Inogen One G3. If your mother is doing well with the Inogen One G3 at setting 2 then the G4 at the same setting will work great for her. Was told I need oxygen be ause my heart is not getting enough oxygen I was thinking of getting an inogen G4 but my DR is going to order it. How can I make sure he gets me the bundle that includes all of the attachments? The Inogen comes standard with 1 battery, AC and DC adapters and the carry case. If you are concerned, you could ask your doctor to write all the items on the prescription. Will any of these companies bill your imsurance? Only local homecare companies handle insurance, but unfortunately, they often have a very limited selection, if any, of portable concentrators available. Filling this gap is why online retailers exist but they do not handle insurance. I believe OxiMedical.com has several locations in the Phoenix valley. i am from nepal and my dad is suffering from asthma so i want the Inogen Portable Oxygen Concentrator or my dad. where can i get this in nepal. Unfortunately, I do not have information about international dealers. I recommend you contact Inogen directly for assistance. My 25 year old daughter has cystic fibrosis. She used oxygen briefly about a year ago but doesn’t currently and passed her previous 6 min walk test. We are going on vacation to Yosemite and her doctor wants her to have oxygen especially because of the altitude. Are there companies that will rent portable oxygen even if a patient doesn’t qualify based on tests? Yes, online retailers that rent portable concentrators for travel will be able to help you as long as you have a prescription from the doctor. We have a CIGNA pt in need of an Inogen. CIGNA is primary Medicare is secondary. I am having a hard time trying to find a DME company who will set pt up with an Inogen. I have an authorization from Inogen. Most homecare companies will not provide a portable oxygen concentrator because the reimbursement from insurance and Medicare is so low. Also, homecare companies do not carry the Inogen; instead, they may carry the OxyGo2, which is an Inogen machine that is privately labeled, so you may want to ask for this brand name instead. Patients who want a POC typically have to purchase one one their own out-of-pocket.